Samsung GALAXY S3 was forced to push the "security update", but also to delete their own function updates. Presumably such an update who do not want to install it. This is forced to act. All this is because Apple sues Google Andrews and Samsung, Andrews system Google Global search infringes Apple's patent. US court recently decided Apple wins. So the sale of Samsung S3 in the United States had to make a change, the existing Google search castration, back to the most original version. Now AT & T version of the Samsung S3 have received a "security update", after the installation and then use Google search can only jump to Google's home page, and will not search the local content. Sprint version of Samsung S3 is also being forced to receive OTA push updates. For the sale of Samsung S3 are also almost castrated. Users do not need to update themselves. Hearing this news, the domestic Samsung S3 users should also be anxious, maybe someday in China will receive such an update. 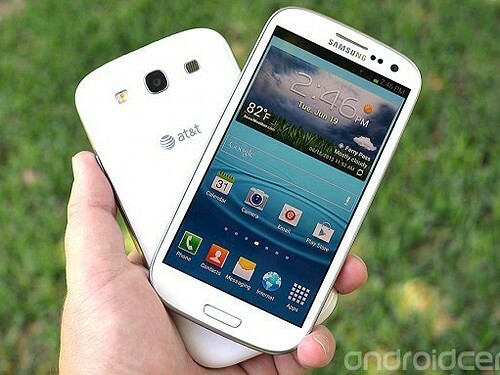 It is estimated that the United States Samsung S3 users are almost hated Apple. This patent war I do not know how long will continue, we look forward to "Pandora's Box" as soon as it off.